Las Cumbres Observatory, or simply LCO, as it's known, is a privately-owned organization pursuing multiple research and education avenues in astrophysics. It is headquartered in Goleta, CA, and thus its staff has a strong overlap with the Astronomy and Astrophysics group. The "observatory" in LCO is actually a fully robotic network of telescopes around the world that are being employed for cutting edge work in time-domain astronomy and astronomy education. In addition to their scientific endeavors, LCO sponsors academic and public lectures as well as a monthly Astronomy on Tap event where astronomers from UCSB and LCO give short lectures to the public about their research in a bar in downtown Santa Barbara. 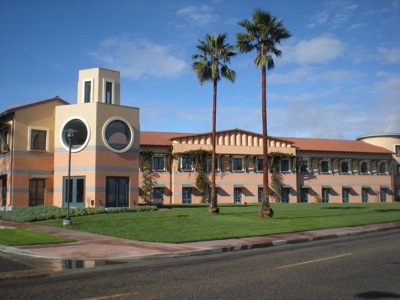 The Kavli Institute for Theoretical Physics (KITP) is a UCSB institution separate from the Physics department that acts as "users' facility" to bring researchers in physics and related fields together to work on interdisciplinary topics. It holds traditional conferences on a wide variety of topics in all areas of physics, typically targeting areas with strong interdisciplinary aspects. These conferences are coupled with long-term "programs", where researchers in a field are invited to stay for months to interact with each other and build new collaborations. Astronomy programs occur on a regular basis at the KITP, and members of Physics department are welcome to interact with visiting researchers, giving many opportunities to meet the world's top figures without ever leaving campus. 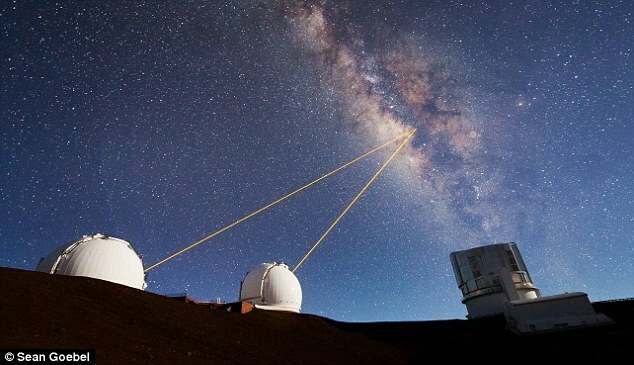 The famous W. M. Keck Observatory is comprised of two 10 meter telescopes atop Mauna Kea in Hawaii and features a state of the art adaptive optics system that does much to mitigate the blurring effects of the atmosphere. Since it is managed by a consortium primarily consisting of the University of California system and Caltech, UCSB Astronomers are afforded coveted time on these world class telescopes. Though an historical observatory, Lick Observatory remains a UC Observatories asset available to astronomers on any UC campus. While for most campaigns, it is outclassed by the Keck telescopes, brighter targets with less demanding atmospheric conditions still offer excellent opportunities for astronomy with Lick. As a less in-demand resource, it provides an excellent opportunity for student training and instrumentation testing.